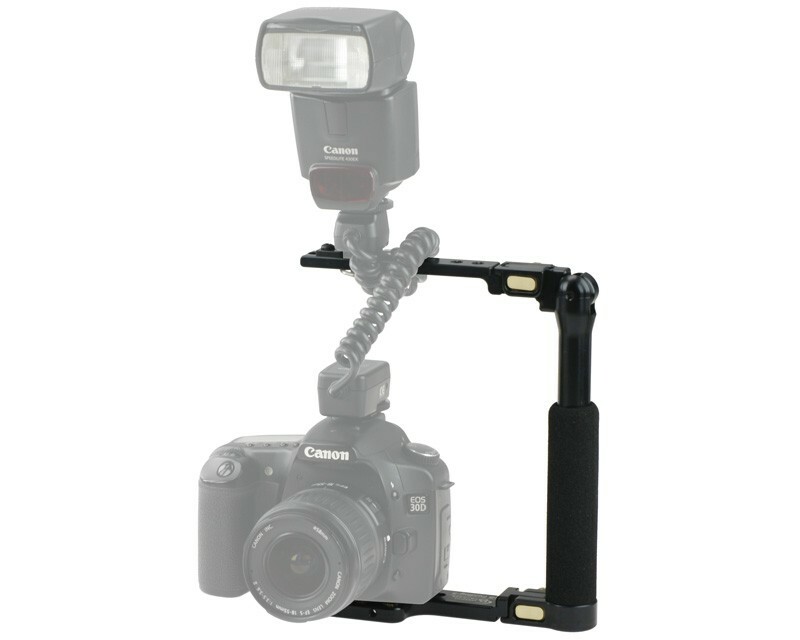 The Folding-S Flash Bracket is a short bracket for smaller cameras to be accessorised with an off-camera flash. The Folding-S can be mounted to either the left or right side of the camera depending on the user's comfort. When in the open position, this bracket measures 20.6cm tall to accommodate compact and mid-size SLRs and other similarly-sized cameras.